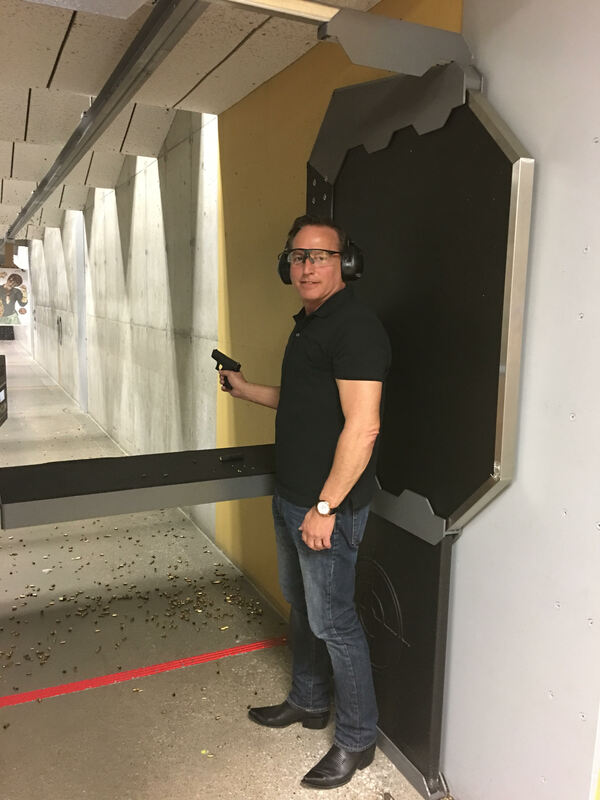 Secretary of State Paul Pate joins GOP Women at Crossroads Shooting Sports. 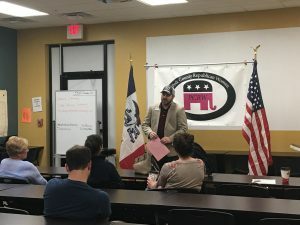 JOHNSTON-The Polk County Republican Women promoted Second Amendment rights at their May meeting at Crossroads Shooting Sports in Johnston. The guest speaker was Iowa Firearms Coalition President Barry Snell, and Secretary of State Paul Pate was in attendance. Barry gave an update on the significant achievements of the IFC during the 2017 legislative session. Specifically, he referred to HF 517, also known as the gun omnibus. He started with an explanation of the Stand Your Ground portion of the bill. The next piece of HF 517 that Barry discussed was the elimination of the age restriction for youth handgun instruction. Another part of the bill that Barry touched on was preemption by the state that will protect gun rights. Barry also shared past legislative accomplishments of the IFC, including Shall Issue permit revisions in 2010 and legalization of suppressors in 2016. Barry concluded with the importance of involvement as early as the election cycle before the legislative session starts and future goals of the IFC. Going forward, Barry said that the IFC is going to advocate for adding an amendment to the Iowa state constitution providing for Second Amendment rights. Following the IFC presentation, Polk GOP Women members had the opportunity to shoot at Crossroads gun range. The next meeting is June 15th, with guest John Thompson, a member of the Republican State Central Committee and candidate for state Treasurer. MacKenzie Dreeszen is a legislative assistant in the Iowa House and a political consultant specializing in fundraising.